The Center for Investment and Trade of Sinaloa is a specialized agency created by the Council for Economic Development of Sinaloa (CODESIN), in coordination with the Secretary of Economy of Sinaloa, established for attracting national and foreign investments, as well as to develop and support investors from our state. 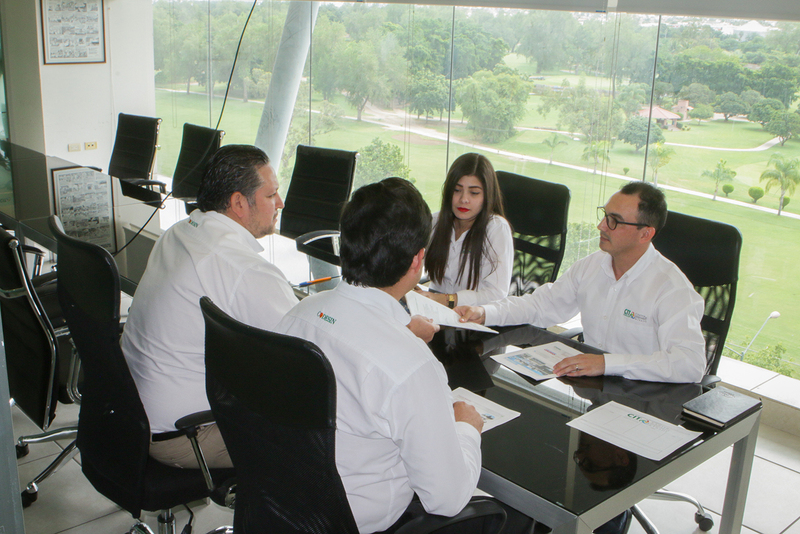 Our commitment is to make business happen in Sinaloa, to connect local businessmen and the State’s regional vocations and calling with market opportunities and investors from around the world. Management capacity and the support of the government, as well as the spirit and vision of the private sector come together at CIT. 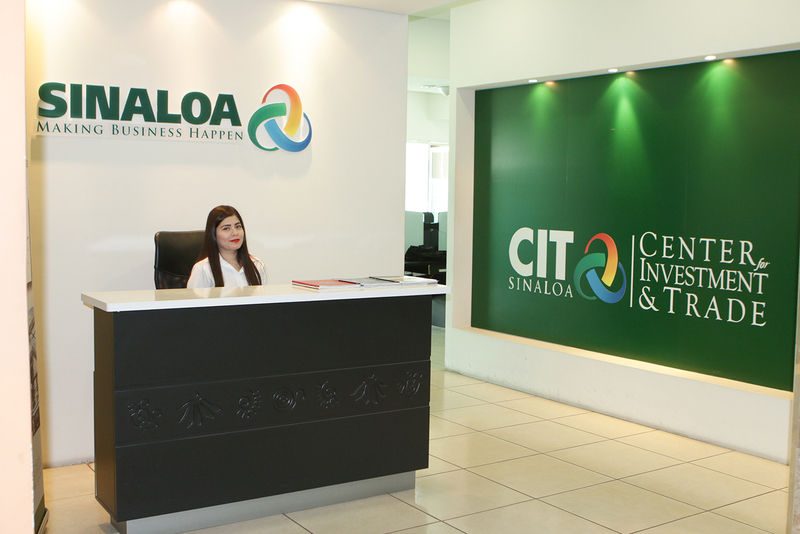 CIT Sinaloa offers specialized services from a team of qualified people that support entrepreneurs, investors and businessmen in the development of business. It has first-rate installations to welcome and take care of the needs of investors, private conference rooms and soft-landing services for more investments. At the same time, CIT supports businessmen from Sinaloa by helping the development and landing of their investment projects. 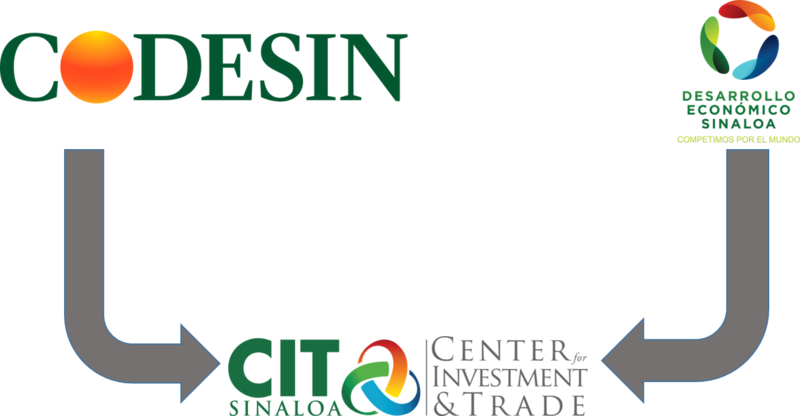 CIT Sinaloa guides its promotional and management activities based on strategies that are agreed upon and in accord with the Secretary of Economy of the State Government and CODESIN. CIT Sinaloa has managed to attract important investments to Sinaloa through a solid portfolio of projects and prospects that have contributed to the economic development of the state. With the accumulated experience of its first years in operation, CIT Sinaloa is in an ideal position to continue placing Sinaloa on the map as an attractive destination for investments all over the world. CIT Sinaloa brings together all the management capabilities and support of the State Government as well as the interest of the private sector to detect and contact those who wish to invest or acquire products or services from Sinaloa. is an area for public and private collaboration integrated by businessmen and government officials for the purpose of influencing public policies for the competitiveness and economic development of Sinaloa. CODESIN helps to create the necessary conditions in order to attract and retain investments, which is one way to generate jobs. Creating the necessary conditions has to do with the construction of a competitive platform, planning and the institutionalization of a promotion process that will guarantee the continuity and long term vision. It is the instance in charge of promoting our state’s economy through productivity and innovation. Sinaloa is a state that faces new challenges with winning synergy between the government and society which favors tourism and the creation of new businesses. We have the infrastructure, the topics and the attitude to be leaders and to be spearheads in capacity and infrastructure. We are facilitators in making things happen and act as catalyzers to accelerate and shorten distances in order to connect Sinaloa with the rest of the world. 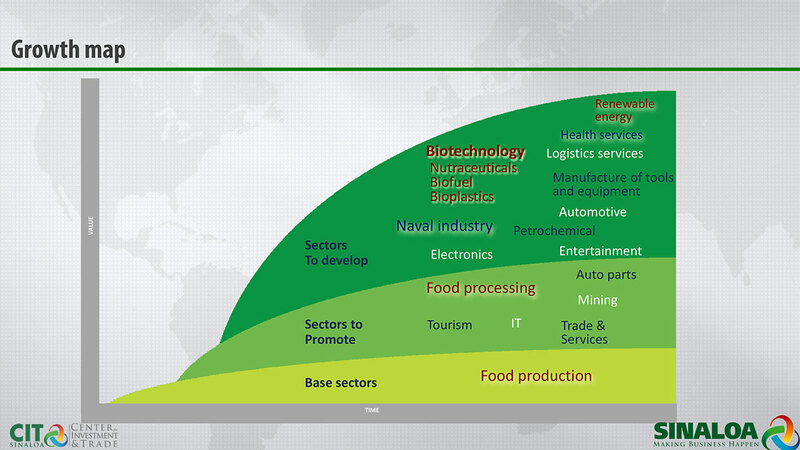 Our location, natural resources and workforce place us as leaders in productivity and innovation. Sinaloa is a state with an incredible drive for business, leader in the production of food in the country and credit placement for the Mexican farmlands. 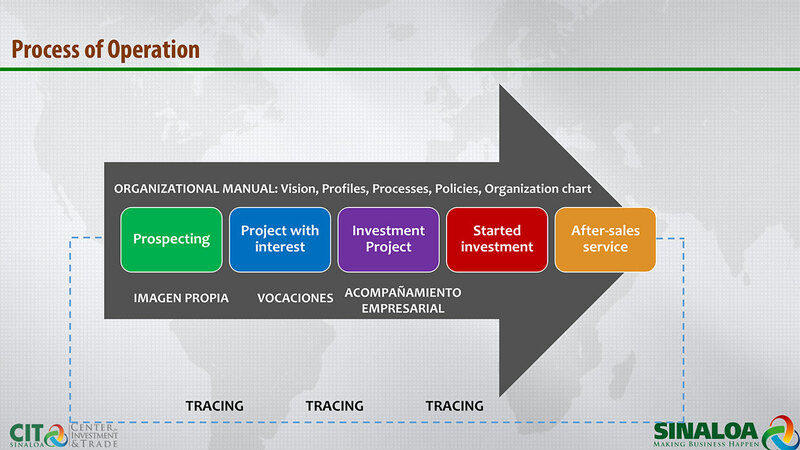 The CIT Sinaloa works in a systematic way to achieve the landing of investments in Sinaloa. The support provided by CODESIN coupled with a timely and precise accompaniment, is a key factor to attain investors` confidence from the start and to always fulfill our commitments with them.